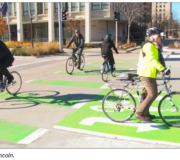 BicycLincoln is a community group that supports and promotes bicycling in the city of Lincoln (NE). 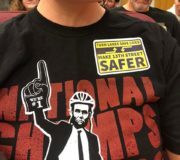 Browsing articles from "August, 2018"
Trail Ramblings: Breaking News, A Win For Safety! An article by Janine Copple	 Comments Off on Trail Ramblings: Breaking News, A Win For Safety! Trail Ramblings: Street Design, Gravel Worlds, And More. An article by Janine Copple	 Comments Off on Trail Ramblings: Street Design, Gravel Worlds, And More. Trail Ramblings: Comment, Fight, Win! Trail Ramblings: Do You Need A Destination To Ride? Try Doing Your Errands By Bike. An article by Janine Copple	 Comments Off on Trail Ramblings: Do You Need A Destination To Ride? Try Doing Your Errands By Bike. Trail Ramblings: The Cycling Calendar Is Already Busy. 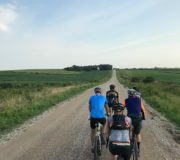 Trail Ramblings: Guest Commentator Ashley Miller On The Tour De Husker. 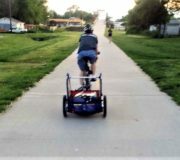 BicycLincoln is a community group that supports and promotes bicycling in the city of Lincoln. © 2011-2019 BicycLincoln, unless otherwise noted.